The TBA Immigration Law Section, Administrative Law Section and Litigation Section are looking for young lawyers located in East and West Tennessee that are interested in joining the section and taking on an executive council leadership position. Being on the EC isn’t a huge time commitment. Generally, the EC’s have a monthly conference call, work together to plan a CLE, provide comments and recommendations for relevant legislation and produce section newsletters. However, the possibility to do more with the section is endless! If you would like to find out more information or want to recommend someone for the Immigration, Administrative or Litigation Executive Councils, please contact TBA Section Coordinator, Chelsea Bennett by May 1. This past week a delegation of eight lawyers from Tennessee represented the TBA during this year’s ABA Day on the Hill. The TBA group had a successful trip to D.C., which included several meetings with Tennessee Congressional members. The main topics of discussion during the meetings were increased funding for the Legal Services Corporation and maintaining the Public Service Loan Forgiveness Program. What's the best gift you've ever received? A cow – and it continues to give a calf to sell every year. A beer on a patio. What was the most indulgent purchase you’ve ever made? If you weren’t a lawyer, what profession would you be? What is your favorite place in the world? Widespread Panic at Red Rocks. A cocktail served in a large glass. What fictional character do you most relate to? Why? James Bond – not sure I actually relate in any way, but it is the intrigue of the adventure, guns, gadgets, cocktails and charm. What are three books that influenced your life? Profiles in Courage, John F. Kennedy; Gone with the Wind, Margaret Mitchell; Fear and Loathing in Las Vegas, Hunter S. Thompson; The Outsiders, S.E. Hinton (I couldn’t narrow it down to three). In a new survey of millennial lawyers, nearly half say their workloads have increased in recent years and about 1 in 4 say they would take less money in exchange for either a more flexible work schedule, more time off or a cut in billable hours, the ABA Journal reports. The survey of more than 1,200 lawyers in law firms was conducted in conjunction with Above the Law. It also found that more than 45% of female attorneys believe there is inherent sexism in the profession and 56% strongly agreed there is a gender pay gap. New Life Job Fair – The CBA YLD is providing expungement information at the New Life Job Fair for ex-offenders on April 4 from 10 a.m. – 2 p.m. The event will be held at the American Job Center in Eastgate Mall. Please email Stephanie Rodgers, if you are interested in volunteering. Legal Lines Event – On Thursday, April 18, from 4 - 6:30 p.m., the Legal Lines annual event will take place at News Channel 3 in Memphis, Tennessee. Legal Lines is an event put on by the Memphis YLD in which attorney volunteers answer phone calls from News Channel 3 viewers with legal questions. If you are interested in volunteering, please click here to sign up. Happy Hour Event - Also on April 18 the MBA YLD will host a happy hour sponsored by Attorney Ruchee J. Patel. The social will take place at The Civil Pour, located at 409 Main St., Memphis, TN 38103. Happy hour begins at 5 p.m.! Summer Law Internship Program - Memphis Bar Association is accepting applications for its annual Summer Law Internship Program (SLIP). SLIP is an internship program that places minority high school students in legal workplaces from June 3 through 28. All Memphis area minority students who will begin their junior or senior year of high school in August 2019 are eligible to apply. Click here to learn more. Donate to the Professional Clothing Drive - The Hunger & Poverty Relief Committee is collecting professional clothing from April 8-22. Requested items include: slacks and skirts, suits, blouses and shirts, dresses, ties, and dress shoes. Multiple donation locations will be available, including locations on Gay Street and Main Street, at law schools, and in West Knoxville. For more info., please contact the Hunger & Poverty Relief Committee Co-Chairs, Meagan Collver or Jason Collver . Veterans’ Legal Advice Clinic – The next veteran clinics will be held on May 8 from 12 - 2 p.m. at the Knox County Public Defender’s Office, 1101 Liberty Street. Volunteer attorneys are needed in order to make the clinics a success. Register to participate by clicking on April 10 or May 8 in the Event Calendar at www.knoxbar.org. Get some “Bowlable Hours” - Join the Barristers for the 1st Annual Barristers “Bowlable Hours” on April 25 from 6 - 8 p.m. at Main Event, 9081 Kingston Pike. There will be prizes for the highest score, most strikes, and more! Register through the KBA website by April 18. Come out and race for a good cause! On Saturday, April 6, the 16th annual YLD Race Judicata 5k and 10k race will take place at Edwin Warner Park in Nashville. Proceeds from the race will benefit two local charities — Able Youth and Achilles International Nashville. For more information on the 2019 YLD Race Judicata, click here. On April 27, at 9 a.m., a non-conviction expungement clinic will be held in Clarksville, Tennessee. The clinic will take place at Loaves & Fishes, which is located at 215 Foster St., Clarksville, TN. In order to make the clinic a success, volunteer attorneys are needed! For more information on the clinic, please contact District Rep. Jamie Durrett. Music City Community Courts has another Expungement Clinic and Resource Fair scheduled April 27, at Magness – Potter Community Center, located at Salvation Army’s Red Shield East Campus, 611 Stockell St. Nashville, Tennessee, 37207. The clinic will have check-in for the pre-registered participants at 9 - 9:30 a.m. and the clinic will start at 10:15 a.m. All volunteer attorneys are asked to arrive between 9:30 – 10 a.m. for orientation and the run of the day. Currently, there are 72 individuals pre-registered for the clinic, so they are in need of volunteer attorneys! Please reply to Music City Community Courts if you are able to assist and provide pro-bono service to the participants. We can’t successfully host these events without you, and your support is greatly appreciated! 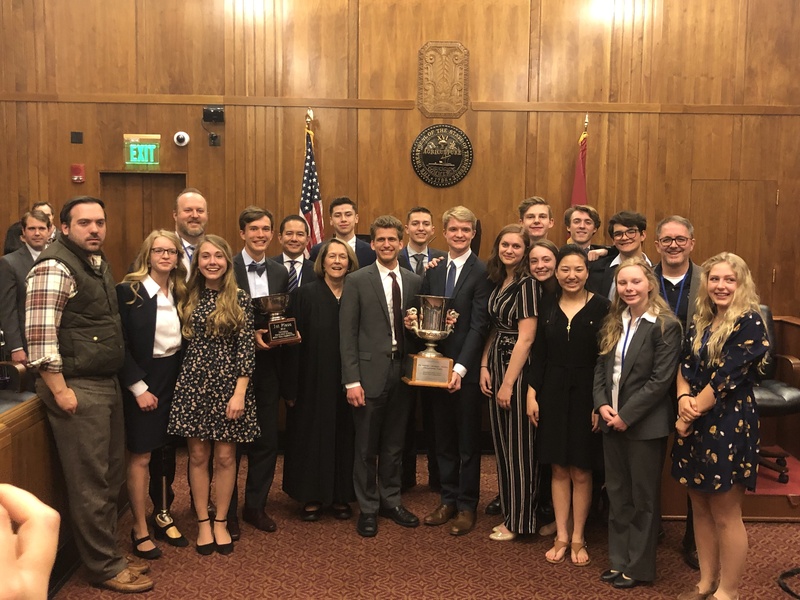 For the second year in a row, the winners of the Tennessee High School Mock Trial Competition is Agathos Classical School. The team will now go on to represent Tennessee at the National High School Mock Trial Championship, which will take place in May in Athens, Georgia. A monumental “thank you” to all of the volunteers who helped make this year’s Competition a tremendous success! Countless hours went into the competition, starting from putting pen to paper to create the dramatic mock trial fact pattern, to judging the intense final championship round in the Tennessee Supreme Court. The commitment and hard work from all of the volunteers did not go unnoticed or unappreciated. Again, thank you! The TBA's annual Convention returns to downtown Nashville this summer! Mark your calendars for June 12-15 and prepare for four days of CLE, networking, entertainment and more at the Renaissance Hotel, 611 Commerce Street. Registration is officially open, with early bird rates available until April 30. Maury County's Agathos Classical School again claimed the championship title at the Tennessee State High School Mock Trial Competition this weekend in Nashville. Agathos sent two teams to the state competition this year, and its "Team G" was the winning squad. Harpeth Hall of Nashville met Agathos in the final round and took home the second place trophy. Supreme Court Justice Cornelia A. Clark presided over the final round. The competition is put on each year by the TBA Young Lawyers Division. Fourteen teams from across the state took part this year. The 2019 Tennessee State High School Mock Trial Competition is now underway in Nashville. The competition, which is put on by the TBA Young Lawyers Division, brings together 14 teams from across the state. This year’s qualifying schools are Agathos Classical School (two teams), Beech High School, Chattanooga Southeast Tennessee Home School Association, Coffee County Central High School, Dobyns-Bennett High School, Farragut High School, Harpeth Hall, Jefferson County High School, Signal Mountain High School, St. Mary’s Episcopal School, University School of Nashville and Westminster Academy. The final round will take place tomorrow afternoon, with Supreme Court Justice Cornelia A. Clark presiding. The Music City Community Courts have another Expungement Clinic & Resource Fair scheduled for Saturday, April 27 at Magness – Potter Community Center (Salvation Army’s Red Shield East Campus – 611 Stockell St. Nashville, TN 37207). The clinic will have check-in for the pre-registered participants from 9:00 a.m. -9:30 a.m. and the Clinic will start at 10:15 a.m. All volunteer attorneys are asked to arrive at 9:30 a.m. – 10:00 a.m. for orientation and the run of the day. Please email if you are able to volunteer, even if you can only stay an hour. The Criminal Court Clerk’s office will have computers and the ability to process the expungement paperwork right on the spot. We anticipate the clinic ending around 12:30 p.m. As usual, there will be coffee and snacks provided to the volunteers and we look forward to having another great event! Most of us have probably, at some point in our lives, experienced School House Rock’s classic explanation of how a bill becomes a law (if not, consider spending 3 minutes and 20 seconds on YouTube to remedy this). This simple, but accurate, ditty provides a good overview of how the executive and legislative branches of our federal government—at least in theory—co-exist and make law. But, School House Rock doesn’t offer an entirely realistic portrayal of how a bill becomes a law—it doesn’t address constitutional requirements, drafting guidelines, rules of order, committee deliberations, lobbyists, financial notes, amendments or any of the other various aspects of our law-making process. The Tennessee legislative process is likewise structured and technical. Our legislative body—the General Assembly—is comprised of two chambers, the Tennessee House of Representatives and the Tennessee Senate, “both dependent on the people.” Like our federal system, each chamber makes use of committees and sub-committees and operates pursuant to certain rules of order. Similarly, lobbyists representation various organizations and ideas engage in efforts to educate and endorse legislative agendas to members of the General Assembly. 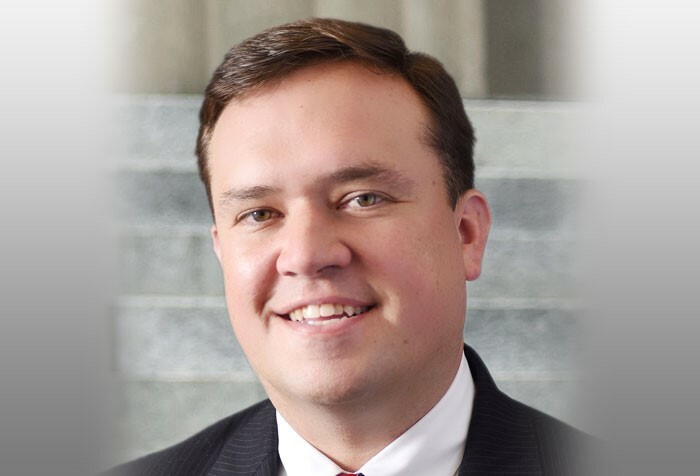 HB 854 / SB 719: The TBA supports this proposal to allow a trial court to exercise domestic relations jurisdiction, regardless of the nature of the allegations, unless and until a pleading is filed or relief is otherwise sought in a juvenile court invoking its exclusive original jurisdiction. This bill is needed to clarify that circuit and chancery courts can continue to hear divorce cases, modification of parenting plans, and other domestic relations cases, even when the case involves an allegation of dependence or neglect. This legislation was drafted by the TBA in collaboration with other groups. This bill passed unanimously in the House and has been referred to the Senate Judiciary Committee. HB 287 / SB 208: The TBA supports this proposal to clean up and make several technical corrections to existing adoption law in Tennessee. This legislation was drafted by the TBA. This bill passed unanimously in both the House and the Senate and has been transmitted to the Governor for action. HB 288 / SB 207: The TBA supports this proposal to allow enforcement of post-adoption contact agreements already agreed to by the parties. This bill gives both parties (biological parents and adopted parents) who have already both agreed to and signed a post-adoption contract allowing the biological parent to contact the adopted child a right to seek judicial enforcement of the agreement. This legislation was drafted by the TBA. This bill passed unanimously in the House and on a margin of 30-1 in the Senate and has been transmitted to the Governor for action. HB 393 / SB 456: The TBA supports this proposal to clarify that service of process made by a constable or private process server is valid even without a return address if all of the process servers’ relevant contact information is made available to the parties by the parties’ attorneys. This bill is needed to reduce confusion over whether service of process is valid when lacking a return address. This legislation was drafted by the TBA. This bill, as amended, passed unanimously in the Senate and has been referred to the House Judiciary Committee. HB 675 / SB 542: The TBA supports this proposal to make six necessary changes to probate law to make the law more consistent. Among other things, this bill would clarify the disposition of property under a revocable trust, protect the confidentiality of the interests of trust beneficiaries, and exempt certain transfers from recordation taxes. This legislation was drafted by the TBA. This bill is set to be referred to the House Judiciary Committee, Children & Families Subcommittee, and the Senate Judiciary Committee. HB 875 / SB 692: The TBA supports this proposal to limit the recovery of attorney’s fees, expenses, and actual and liquidate damages to situations where a party has proved, by clear and convincing evidence, that the person claiming a lien has acted with malice. This bill will allow court to penalize fraudulent lienors, while legitimate lienors will not be under the threat of being penalized for simply pursuing their legitimate lien rights. This bill was drafted by the TBA. This bill has been referred to the House Commerce Committee, Business Subcommittee, and the Senate Commerce & Labor Committee. To learn more about the TBA’s legislative advocacy or to stay apprised on the status of these initiatives, please spend a few moments reviewing the TBA Impact website: https://p2a.co/xFc8g5z. You can also contact your representatives through this website to voice your own thoughts about these policy initiatives. The TBA expects that these next four weeks will be particularly important for legislative proposals before the General Assembly. We encourage you to pay attention to these important developments in Nashville. As many of you may recall, the YLD adopted a bylaw amendment in 2016 to establish a mechanism to take positions on public policy issues and present policy and legislative proposal to the TBA Board of Governors. If you have a policy idea or a legislative proposal that you would like for the TBA to consider, I would be delighted to work with you to solidify your thoughts and navigate both the YLD and TBA’s policy-making mechanisms. Legislative deadlines will start to run in mid Fall, and so we need to take advantage of these summer months and the fall planning meeting. Please do not hesitate to contact John Rice to discuss your ideas and concerns! This weekend in Nashville the stage will be set for the 2019 State High School Mock Trial competition finals! The TBA YLD is still seeking volunteers for the State Competition, which will take place on March 22 to 23 at the Metro Davidson County Courthouse in downtown Nashville. The Mock Trial Competition is an incredibly fulfilling and entertaining opportunity to help introduce younger generations to the practice of law. Also, these high school kids are legit! For more information on volunteering for the State Competition, click here. The Memphis Bar Association is currently accepting applications for its annual Summer Law Internship Program. SLIP is an internship program that places minority high school students in legal workplaces June 3 - 28. All Memphis area minority students who will begin their junior or senior year of high school in August 2019 are eligible to apply. Click here to learn more. The Diversity Leadership Institute will host its March workshop for the 2019 DLI Class on March 22 at the Tennessee Bar Center in Nashville. During the workshop, the DLI class will participate in mock interviews and have their resumes critiqued from 4:30 to 5:30 p.m. Attorney volunteers are needed to conduct the mock interviews and critique resumes. If you are interested in volunteering, please contact DLI Chair Alicia Teubert. Come out and race for a good cause on Saturday, April 6. The 16th Annual Nashville YLD Race Judicata 5k and 10k races will take place at the Edwin Warner Park. Proceeds from the race will benefit two area charities — Able Youth and Achilles International Nashville. Learn more about the 2019 YLD Race Judicata. Sen. Raumesh Akbari, D-Memphis, and Rep. Bill Beck, D-Nashville previously introduced SB836/HB1002, which is legislation that was drafted by high school students from Chattanooga School of the Art and Sciences. The legislation — which was developed through the TBA Young Lawyers CATALYST program — requires every person applying for a driver’s license to be automatically registered to vote upon the applicant’s 18th birthday. The bill was to come before the Senate’s State and Local Government Committee today. Learn more about the bill and the CATALYST program here. Volunteer attorneys are needed on April 27 for a non-conviction expungement clinic. The clinic will take place at 9 a.m. at Loaves & Fishes, located at 215 Foster St. For more information on the clinic, please contact District Rep. Jamie Durrett. 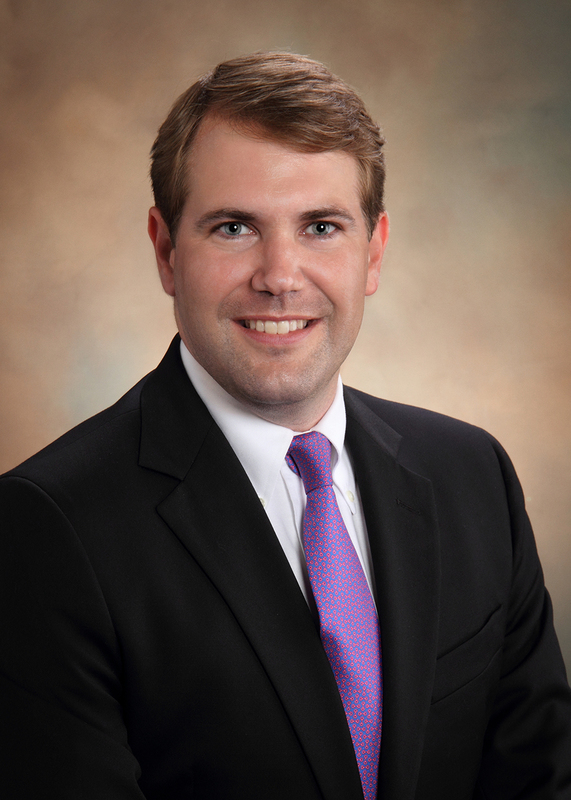 This month we are shining the spotlight on Nashville government relations specialist, Attorney Ross Smith. When I was about 12 years old, Santa Claus brought me a Pinball Machine from the 1970’s and the theme was the Six Million Dollar Man. That thing was the talk of the neighborhood and it still has paper taped all over with various friends’ high scores. Relax? It’s the middle of the legislative session – there is no relaxing. Ask me again in mid-May. I just booked a European Cruise to Denmark, Sweden, Finland, Estonia and Russia with 3 other YLD members! …and we upgraded to balcony rooms. Inspirational Speaker, but I’d need a good speech writer. It’s all about delivery, right? Some may find it hard to believe, but I’m really just a home body. There’s nothing like being home. Solid tie between traveling to Argentina or Vietnam. Easy – when people don’t rinse off dishes before putting them in the dishwasher. Who wants spaghetti sauce caked onto their dishes? Squints Palledorous – I’m still looking for my Wendy Peffercorn.